The Parker Fulflo HF Depthflo filter cartridge is a very large filter cartridge typically found in the refining industry. 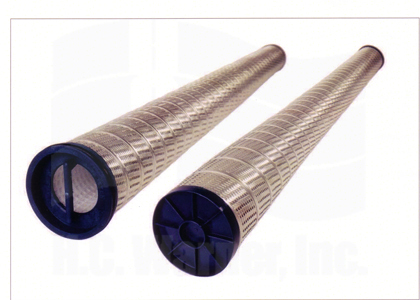 At 6” diameter X 80” long, this cartridge packs flow rates and dirt holding capacities unparalleled in the industry. HF Depthflo filters are designed to minimize the frequency of filter change outs, reducing labor costs and production downtime.